Both colleges fought a close battle throughout the day with Good Counsel New Ross finishing a distant third followed by Ballyclare High School in fourth. Rice College Westport sensationally claimed the Irish Senior Schools title with a clearcut 4-1 win over 2011 champions De La Salle, Waterford at Balmoral on Tuesday. County Waterford followed in Mayo's footsteps by winning both the All Ireland Senior and Junior Schools Championships this year. 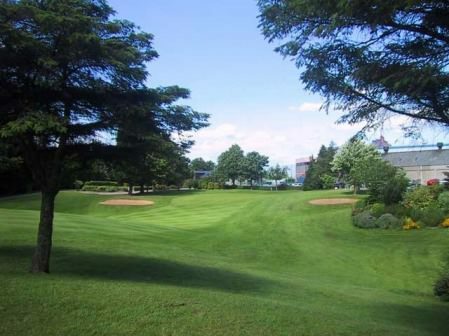 St. Michael's Grammar School in Lurgan and Dublin's Muckross College won the Irish Schools Senior and Junior Cups at Milltown Golf Club. Ballyclare High School made it a double for Ulster at Farnham Estate in Cavan this week when they claimed the 2015 Irish Schools Junior Championship Trophy, following in the footsteps of Senior Cup winners RBAI. Liam Martin (President Elect, GUI) presenting Bangor Golf Club Alisdair Moore (Team Captain) with the Irish Junior Foursomes pennant after their victory over Kilkenny Golf Club at West Waterford. 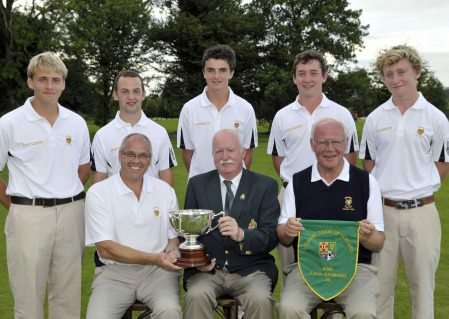 Also in the picture in front is Matt Gillen (Captain, Bangor Golf Club). Team members at back (from left) Andrew Moore, Luke Dunlop, Ryan Young, James Fox and Max Thallon. 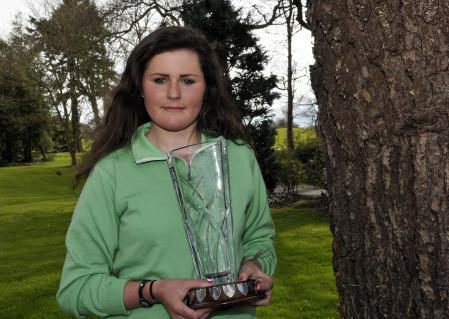 Picture by Pat CashmanBangor are the Irish Junior Foursomes champions after turning in two dominant performances at West Waterford Golf Club, writes the GUI.